An open hollow in the surface of a wall usually crowned by a semi circular arc is one of the elements of classical architecture and is called a niche. It was used to place a religious statue or image. 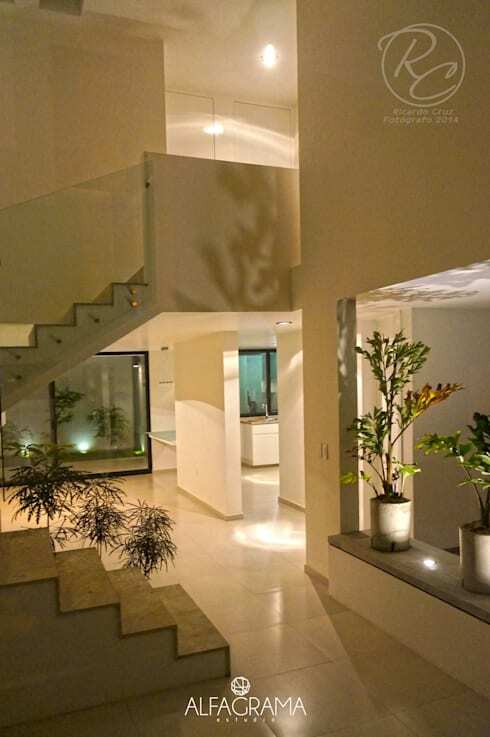 Modern architecture has derived some other simple variants from this concept, and have incorporated niches in the design and decoration of houses. 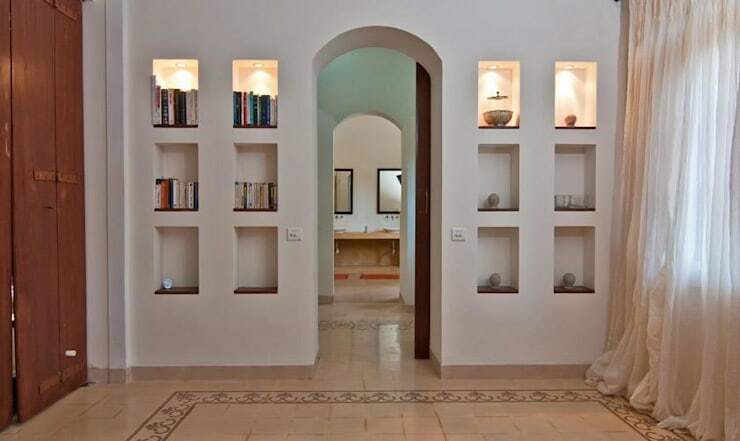 A hollow in the wall is now quite popular in many houses, to place decorative objects, works of art etc. The structure and shape of these hollows depends on the availability of space, and here we wish to show you 16 pictures of such spaces and hollows in walls that will leave you speechless. 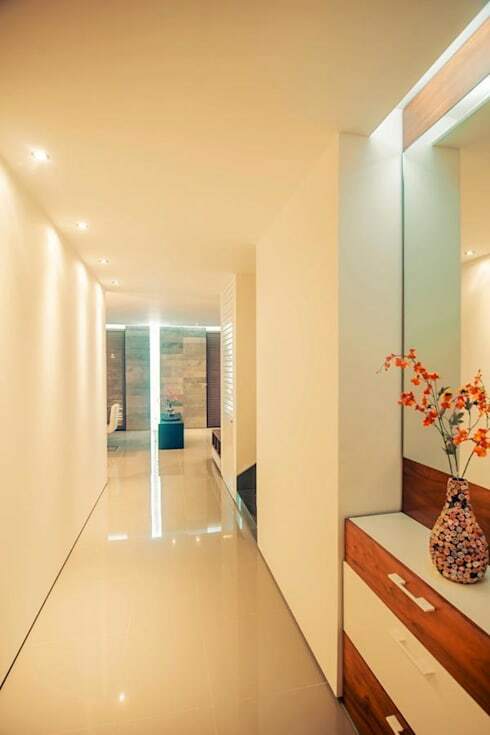 You need to identify the structural walls and the dividing walls from the very beginning, and focus on the dividing walls which are responsible for creating the division between the interior rooms. These are the walls, that can be easily used to create the decorative hollows or niches, and other openings or arches. See how this hollow created in the bathroom, adds to the beauty and utility both. One of the best advantages of the hollows in the walls is the space they save, had there been shelves coming out from the walls. 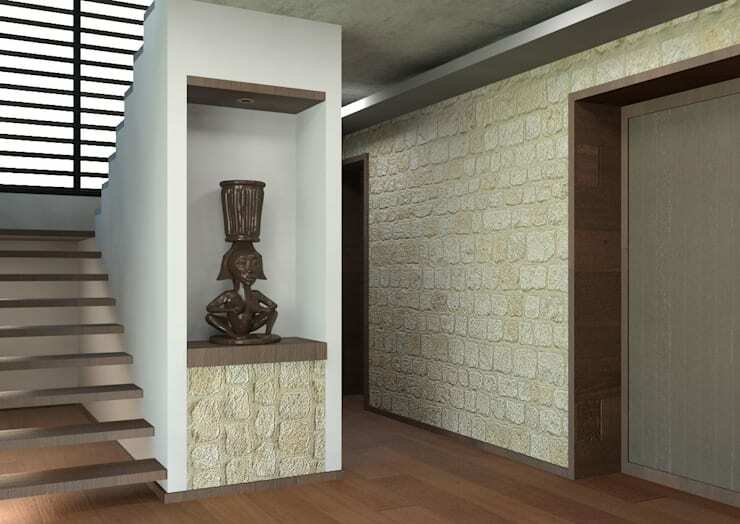 The niches save that space invasion, and use some spaces inside the walls, giving more open feeling to the room. The hollows are not just useful to place decorative objects within them. In some cases they can be given a special meaning and they create an elegant and classy space that in itself becomes a highlight and a decorative element. 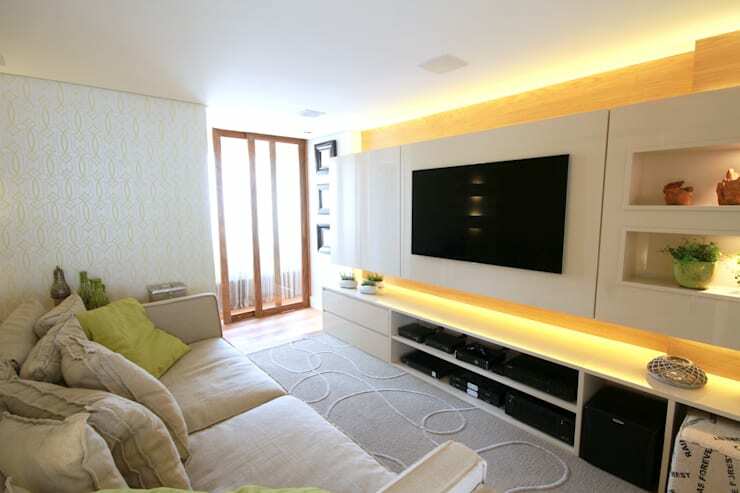 The space created in walls when you create a niche, can create shadowy areas. A great idea here is to place a point of light inside the hollow. This way you can enhance its presence and it's content's too making them look even more beautiful. The choice of the hollow depends exclusively on your tastes and the availability of a suitable wall. In this image, a space under the window was the place chosen to create a long shelf decorated with natural stones in a very zen style, giving a unique beauty to an ordinary wall. To break the monotony of a large and narrow space, where there is not much scope for keeping decorative pieces, creating a long and elongated hollow, in a contrasting color can add a lot of dynamism and add an interesting change. 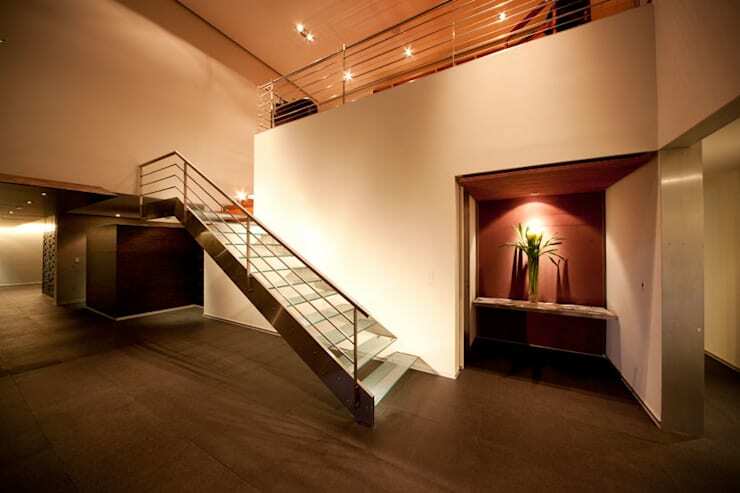 Another innovative idea to create niches is to allow for more natural light. 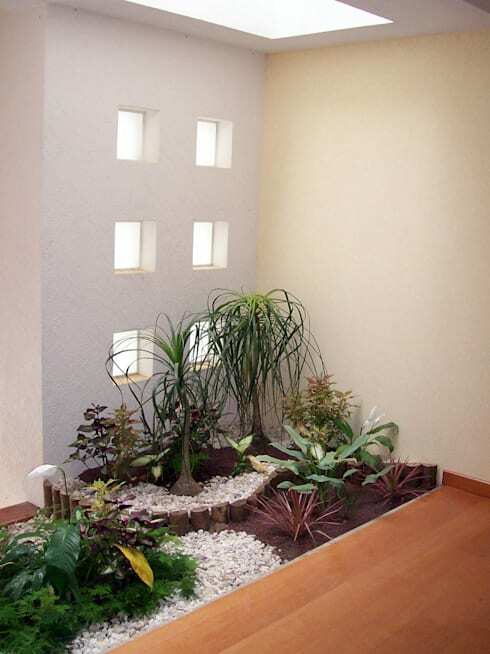 Where there are exterior walls that do not intervene in the main structure of the house, you can take advantage of such walls to create hollows that allow the light to pass through even create a small interior garden to put that light to use. When you have a hollow, the options are unlimited. 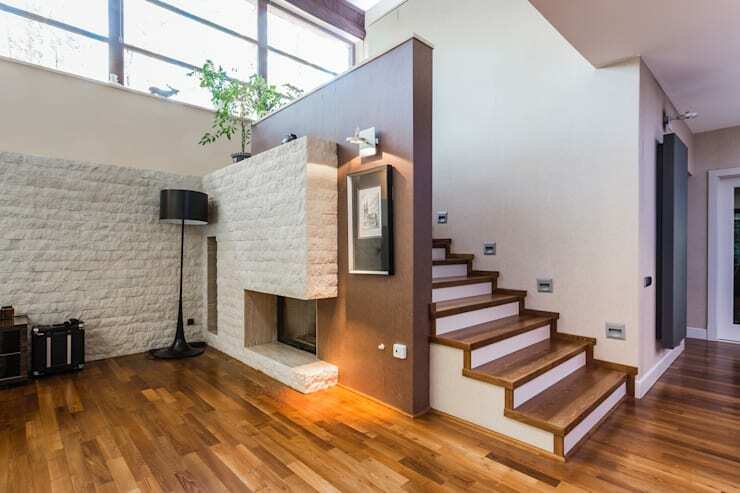 You can take advantage of a hollow in the wall to create a fireplace with a small chimney installed within the wall. 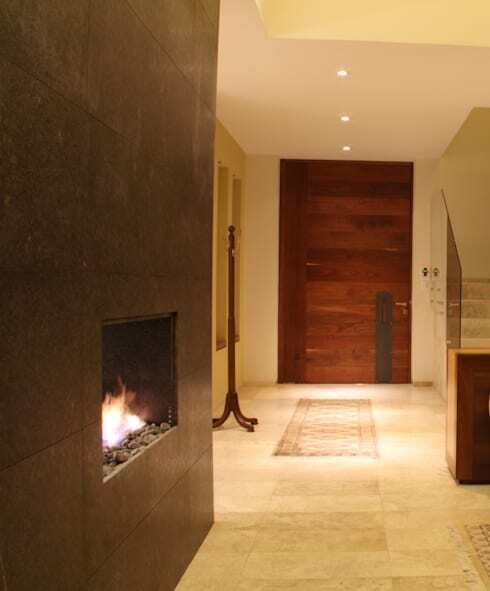 These kinds of fireplaces will be a welcome surprise in a cold corridor, just as you enter the house. 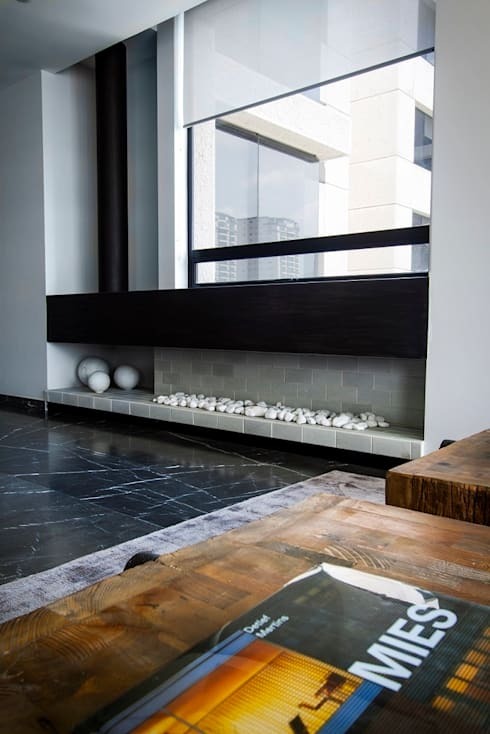 The fireplace may not necessarily be fed by logs of wood, and may be a thin ethanol fireplace. An electric fireplace in the wall might even work as well. 9. ​A gap or a break? 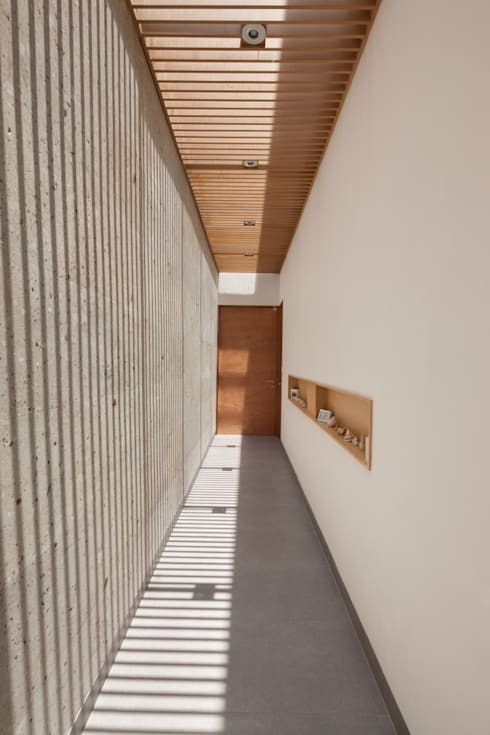 We must differentiate between the small ornamental niches or hollows and large openings that break virtually all of the wall, creating new spaces that facilitate a new step from one room to another. They are not the same, but they create a whole new and spacious feeling to a room. In more such cases, where the hollow is created by the very structure of the walls and pillars of the house. 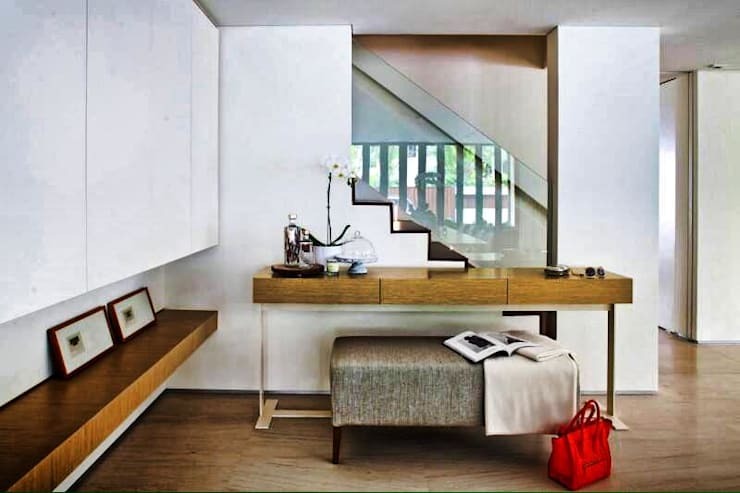 If the space is large enough, you can take advantage of it by placing a piece of furniture as the designers have done in the hall of this house. Maintaining the primitive purpose of the niches, use a well focused, centrally located hollow, to display the artwork, or a statue of your deity right there where it catches everyone's attention. Here are 13 nifty niche ideas for your walls. One of the great advantages of hollows is that you do not need to move anything around. It is the structure itself that facilitates the presence of space and you just have to fill it with what you like the most, for example, a wooden shelf for photos and portraits. Here is a simple niche with wood and glass shelves you would not want to miss. 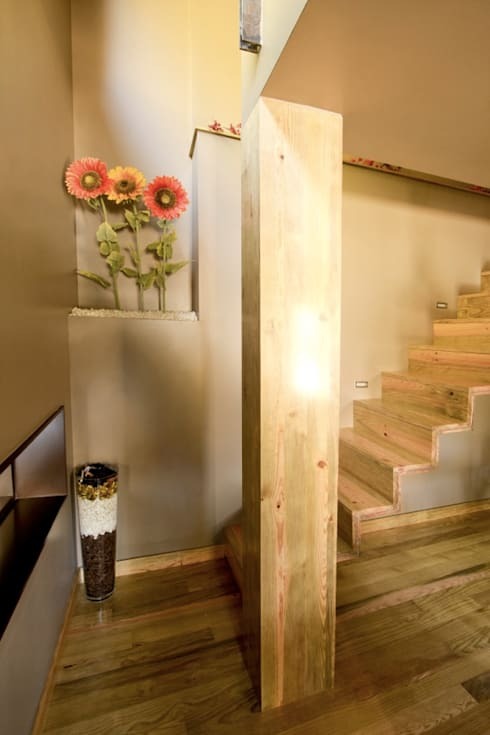 Sometimes you raise a false wall to separate the environments, as in this picture, the wall isolates the staircase area. Such walls do not have to bear any load, and can be easily used to create hollows for some beautiful exhibits to brighten up the corners. Sometimes the gaps are already there, created by the very structure of the house. 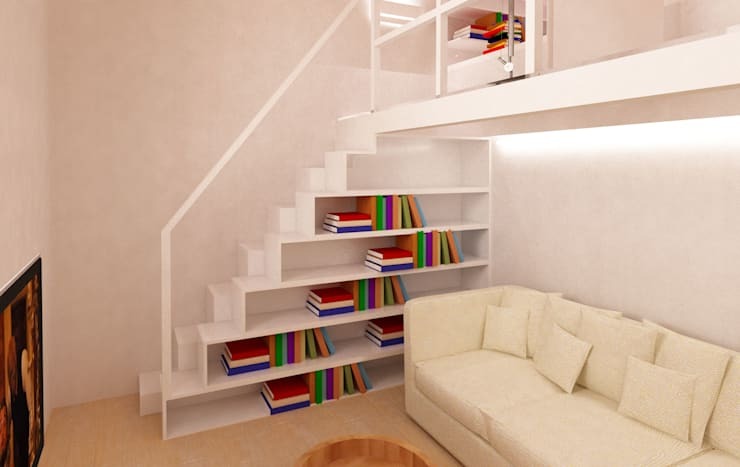 In this case, it is the hollow under the staircase that inspired the designers to fit a small bookcase that, with a comfortable couch next to it, created a perfectly cozy reading space. You would be amazed to see this beautiful niche below the stairs. 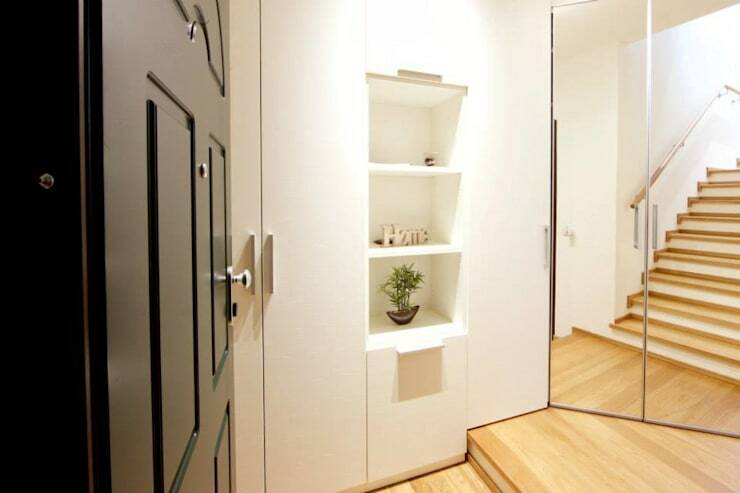 When one of your walls is completely occupied by a closet, you can take advantage of one of the fronts, to break the flat structure of the wardrobe and open some shelves that offer occasional decorative possibilities and change the look of the room as frequently as you want. See yet another example of a hollow in a closet. 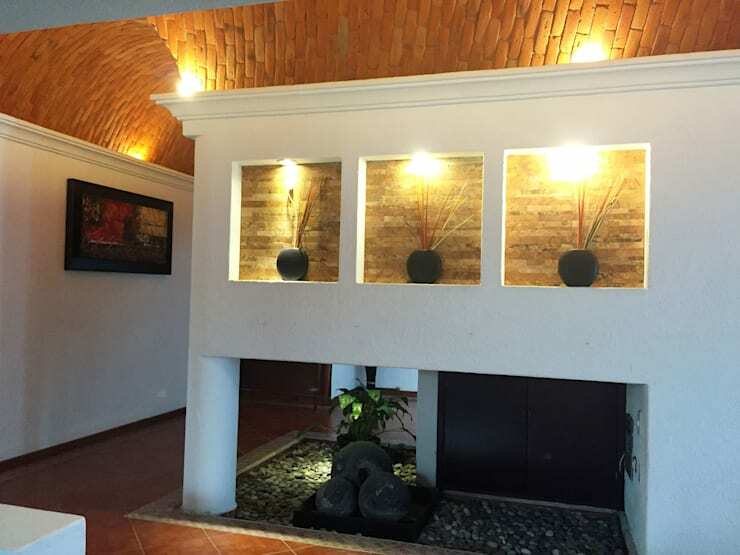 The hollow may not even be a full covered one, this half hollow created in the neutral walls, created space to add some dimension and contrast to the earthen room, all you need to visualize and find a space where you can dig out a niche. If you are feeling seduced with this wonderful idea to decorate your walls, you can start finding the right place and decide what you want to place in it. We recommend that you always bet on beauty, always a winner. Do you have any wall in which you can create an ornamental hollow?